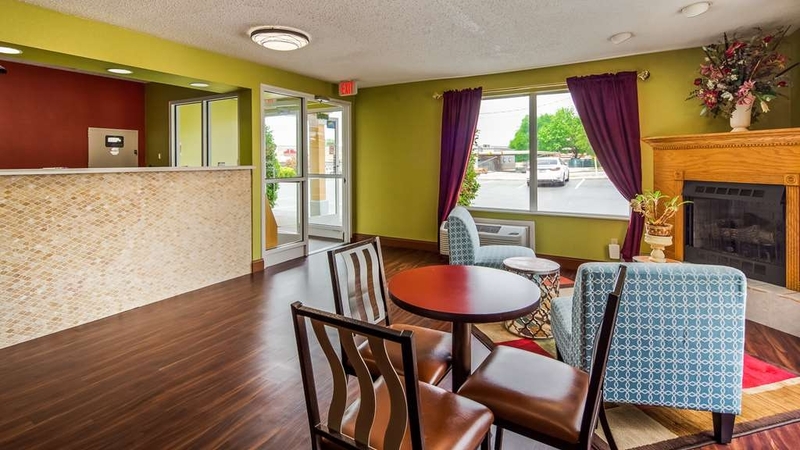 Das SureStay Plus Hotel by Best Western Chattanooga ist ideal in Chattanooga Stadtzentrum zu finden. Erleben Sie ein schöner Aufenthalt in der Nähe von alle Sehenswurdigkeiten. Bestpreisgarantie und exklusive Angebote. Im Surestay Plus Hotel Chattanooga Hamilton Place in Chattanooga können Sie sich erholen. Wir befinden uns in günstiger Lage, abseits der Interstate 75 in der Nähe des Hamilton Place Mall und nur 6 km vom Flughafen Chattanooga Metropolitan (Cha) in Lovell Field. Das Hotel befindet sich in günstiger Lage zu vielen großen Unternehmen wie Volkswagen, Amazon, Cigna® und Enterprise South Industrial Park. Das Stadtzentrum ist nur 15 Autominuten entfernt. Hier finden Sie Sehenswürdigkeiten wie zum Beispiel das Tennessee Aquarium, Rock City und Ruby Falls. Das Haus eignet sich mit kostenlosen Services und Ausstattungsmerkmalen wie kostenloser Parkplatz, kostenlose Kopier-, Druck- und Faxgeräte, kostenloses drahtloses Internet (Wi-Fi), Business Center und großartiges Frühstück für Urlaubs- und Geschäftsreisende. Beginnen Sie Ihre Reise nach Chattanooga mit unserem kostenlosen warmen Frühstück mit umfassendem Angebot, darunter Eier, Waffeln und Fleisch sowie gesunde Optionen wie Joghurt und frisches Obst. Alle unsere sauberen, komfortablen Gästezimmer sind ausgestattet mit LED-HD-Flachbildfernseher, Kühlschrank, Mikrowelle, Schreibtisch, Bügeleisen und -brett, Haartrockner und Kaffeemaschine, erstklassigem Bettzeug und mehr. Ausgewählte Zimmer verfügen auch über Wannen-Whirlpools. Ob Sie privat oder geschäftlich unterwegs sind, allein oder mit Ihren Kindern, dieses Surestay Plus Hotel bietet Unterkünfte für Reisende aller Art. 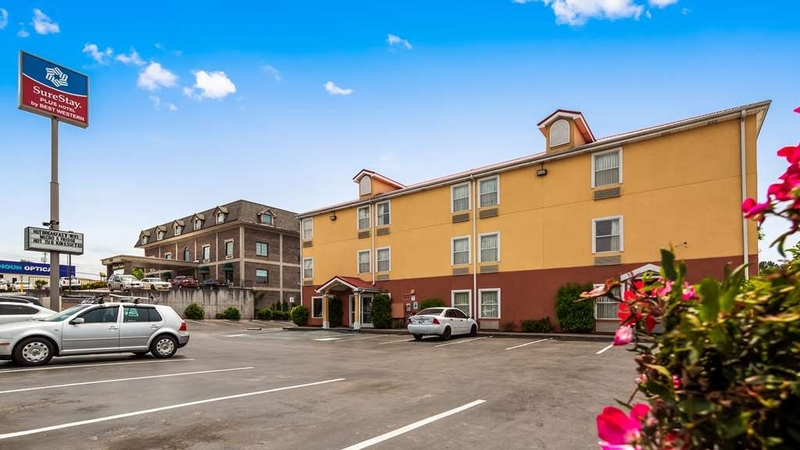 Die Hotels von Chattanooga sind seit jeher stolz auf Hotelzimmer, die zum Entspannen und Erholen einladen, ganz gleich, aus welchem Grund sie auf Reisen sind. Erholung, fertig, los – buchen Sie Ihr Zimmer noch heute! Lots f restaurants and shopping nearby. Staff very polite. Room very clean and big. Coffee pot, microwave and refrigerator. Quick internet. Good hot breakfast. Only there a night. Don't get room next to ice maker on 2nd floor . Noisy as guests get ice late at night and early In the morning . Elevator too. "Nice for a nights rest"
The staff (Dan) was very friendly, the breakfast area was small but it was clean and was stocked very well- as used. 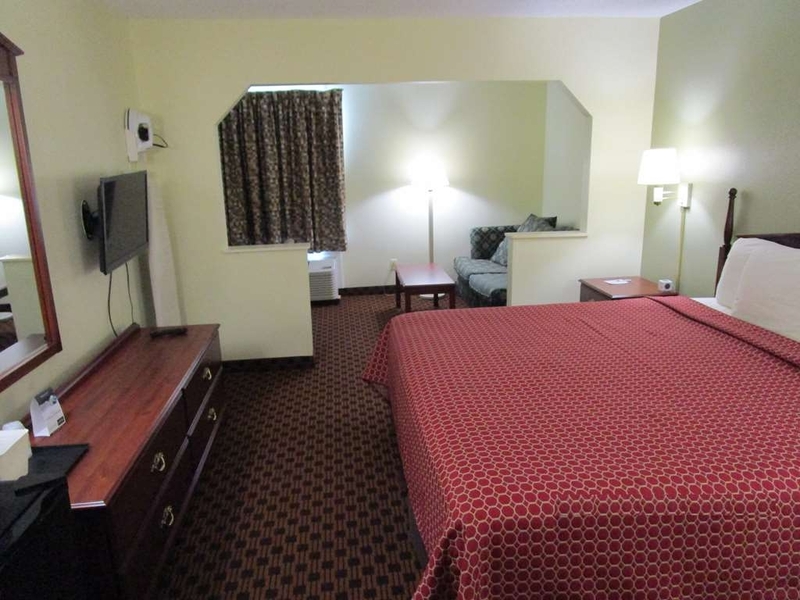 The rooms were clean with a nice sized bathroom, refrigerator, microwave, tv and wifi. This was a good room for an overnight stay. Danny Patel and his wife are friendly and very helpful. Very clean place plus hot and delicious breakfast items. Have stayed here before and will definitely come back again. Their room rates are reasonable too. "More for your Buck $$$"
The staff was so friendly. We were given an upgrade for our room without even asking! Breakfast was good! The value of this hotel was amazing. 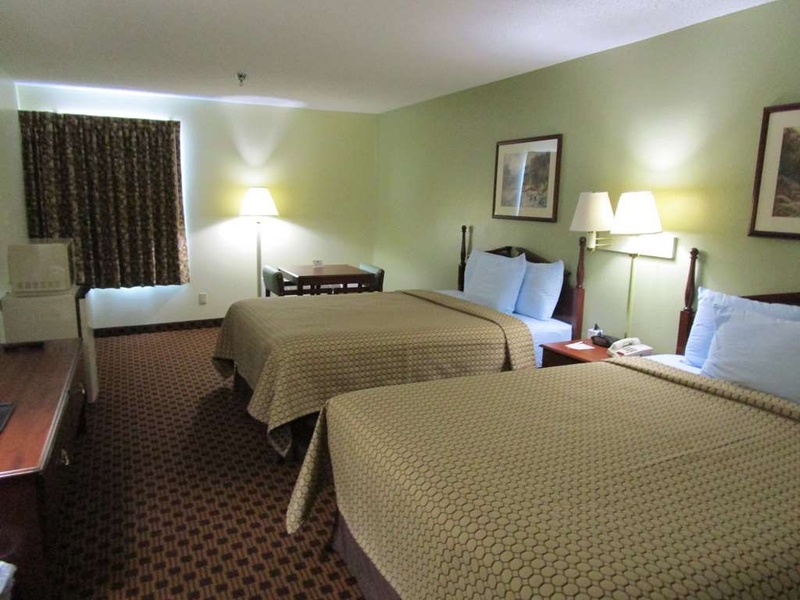 We always stay at Best Western Hotels and this was a great experience. Would stay here again!! Off the highway a ways, in an older area with lots of tourist businesses, hotels, gas, restaurants, bars etc. 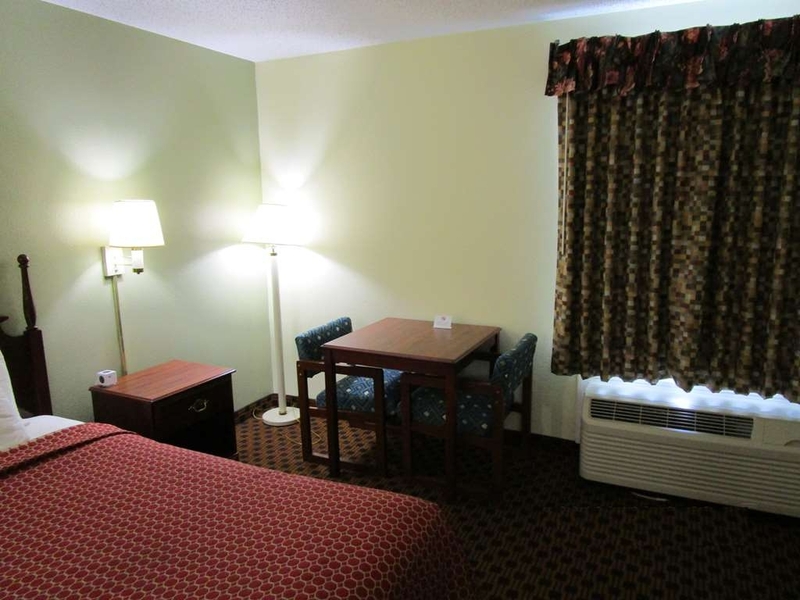 Older hotel that is very clean and well maintained, some updating has been done. Hotel was quiet, room was comfortable and average size. Breakfast selections pretty much made up a full breakfast, hot and tasty. Staff was hard working, very friendly and helpful, I'll take an older mom and pop operation over a fancy chain every time. 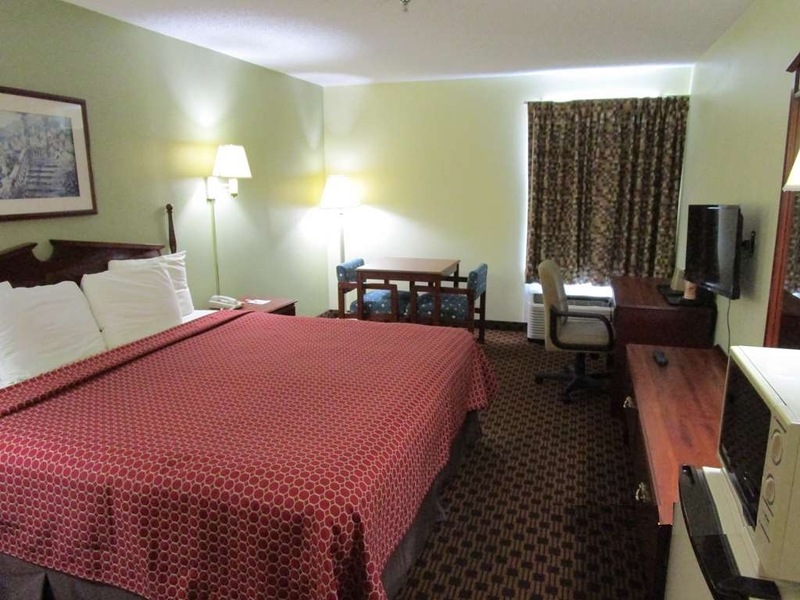 It is a great little hotel that won't break your wallet. 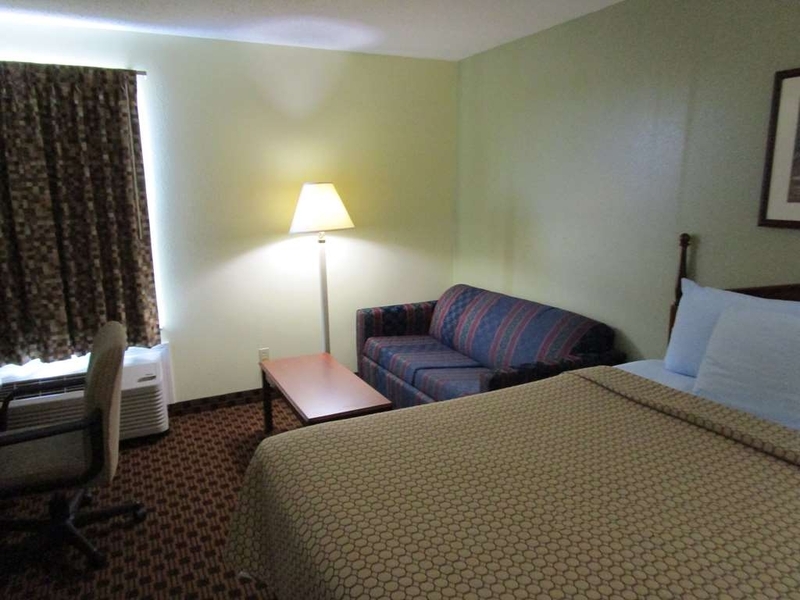 Clean and spacious rooms with microwave/medium fridge and walls thick enough not to hear your neighbors. You get a couple of variants of either hot or cold breakfast. Not only are the manager and staff very kind, they turned out to be extremely helpful, too. Thumbs up, definitely. 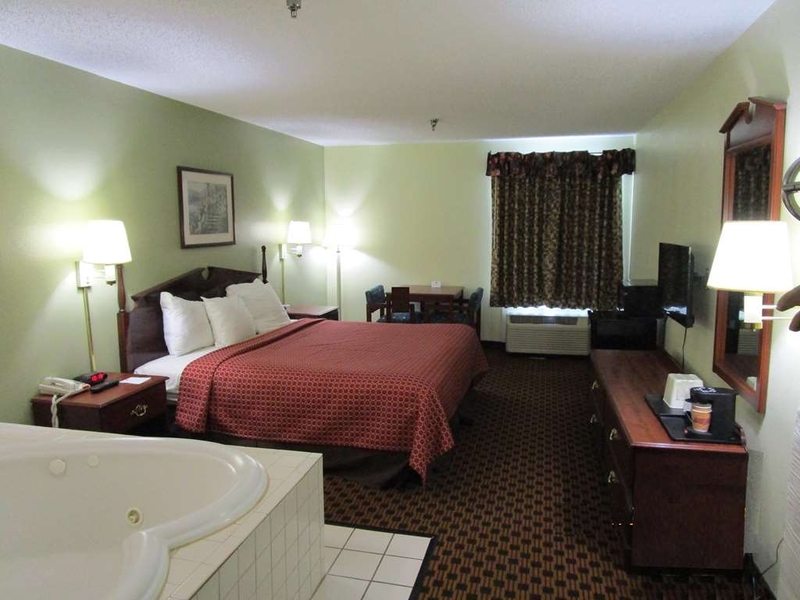 "Wouldnt stay for more than 1 night"
The lady at the desk over charged me. When I pointed it out, she said she fixed it. She didn't. Breakfast was ok. Went into our room and 3 pillows had no covers on them. Shower had no stopper Bed was comfy. 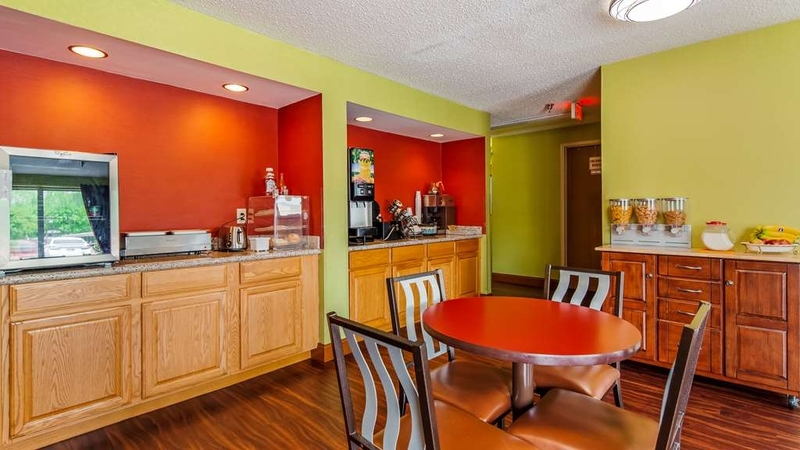 "Good motel - excellent breakfast!" 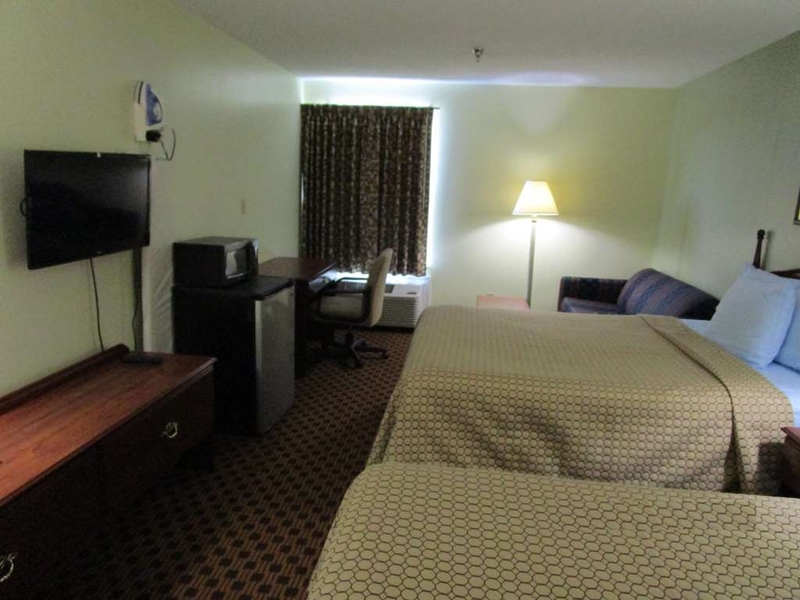 Very nice motel, nice clean room - good A/C, fridge, micro, comfy bed. Plenty of ice. Very good breakfast with eggs, sausage, waffles, cereal, muffins, fruit, yogurt. Location was somewhat far from the city center. Room was very clean. Plenty of options for food very close to hotel. Didn't have breakfast or coffee available because we checked out at 6am (complimentary breakfast served from 6:30-9:30). Was a perfect location for an overnight stop on our way home to Chicago from Florida. All we needed was dinner and a clean, comfy place to sleep. 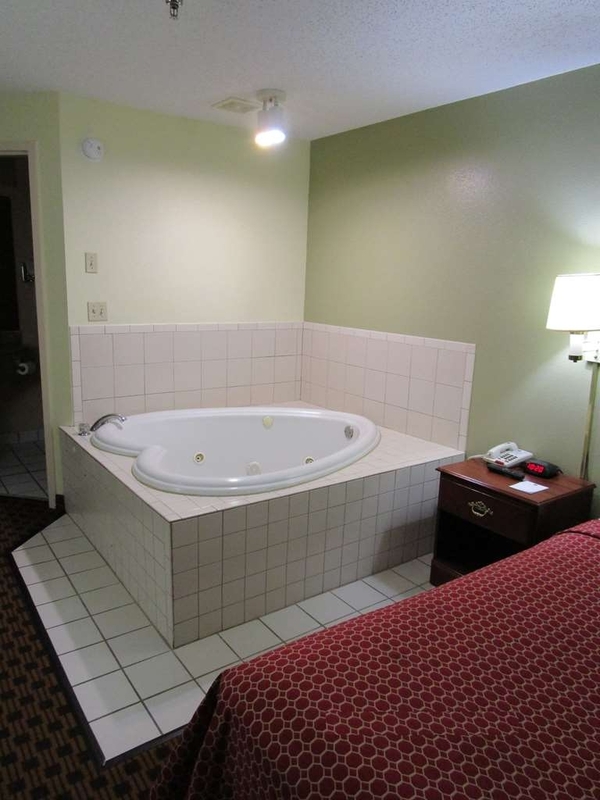 This hotel fit the bill at a reasonable price. On my way to San Diego and this was one of my stays. The hotel was average. The breakfast was good and the beds good . The pull out need replacing but doable for a night. Would say there again.we went on a duck boat trip. It was very good. 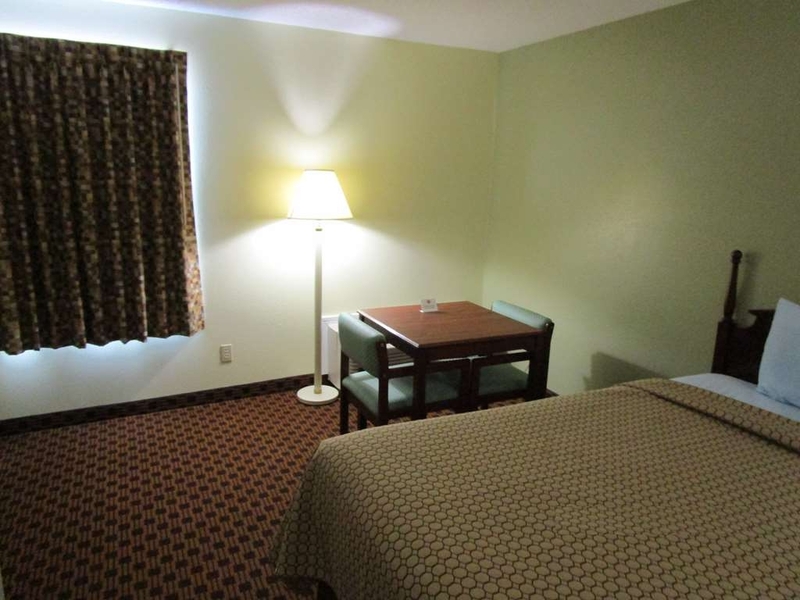 "Cheap, clean with paper thin walls"
A nicely managed budget hotel with clean, basic rooms with no sound proofing. The walls are so thin you can hear what folk in the next room are thinking. I cannot fault the price but the whole place needs a refurb, it's a bit tired. Would I stay here again? Nope, but only because of the tissue thin walls. Awesome stay. Very impressed with the cleanliness. Staff was excellent and very nice. I will come back. Very close to malls good restaurants. Couldn't have been any better. Breakfast was fresh and delicious. AWFUL!!! I made a reservation through hotels.com. NOWHERE in the hotel information or my confirmation email say that we had to be there by 6pm or else they'd cancel my reservation. I signed up to pay at hotel and held the reservation with my debit card, planning to pay for it with my credit card. Now... Here I am, traveling from Louisiana to Chattanooga, TN, estimated arrival of 8:30pm, hady reservation cancelled and my debit card run so many times that it is now shut off. The "gentleman" that called me was rather rude. Didn't care that we were traveling. Didn't ask when we'd get there. Just cancelled our reservation and hung up on me. Luckily, I was able to find another reservation with such little time. So, if you do decide to stay here, I wouldn't expect great service or any kind of hospitality. 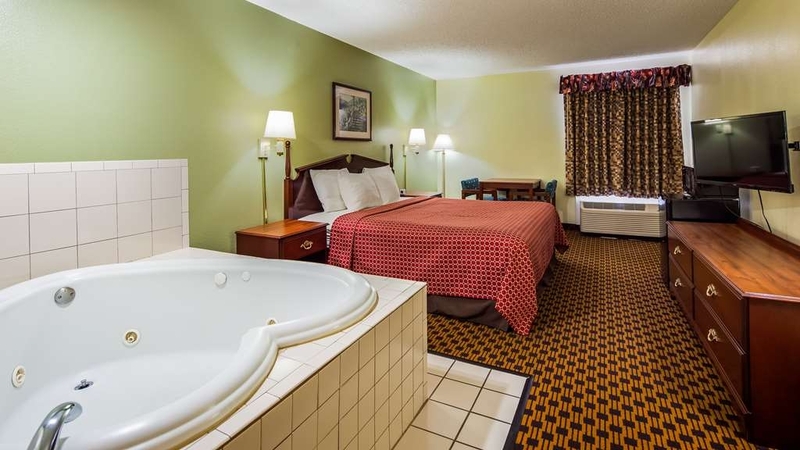 Guest made reservation of hot tub suite room through expedia and after taking credit card authorization at 6:10pm which is our hotel management policy then the card declined but hotel made courtesy called to guest to notify that card declined. Guest decline to give us other credit card. 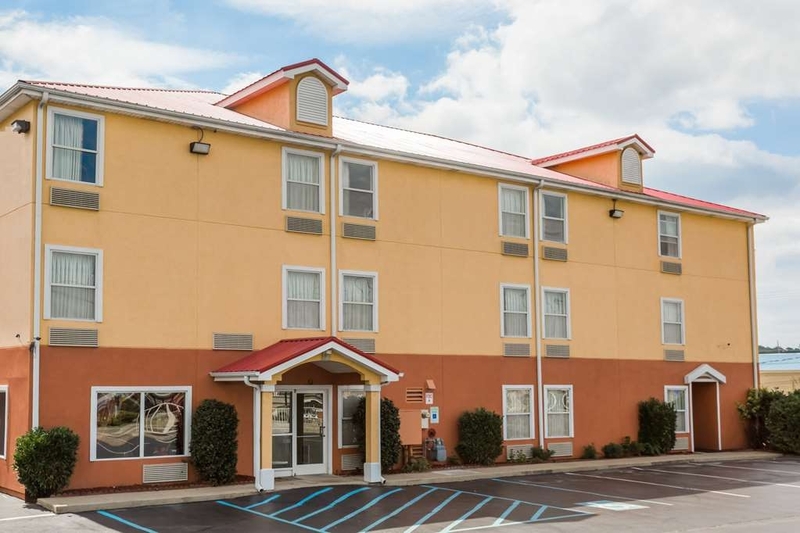 "Beautiful & clean accommodations in TN"
Was lucky that Hotel.com picked this hotel for me and for an extremely reasonable rate. 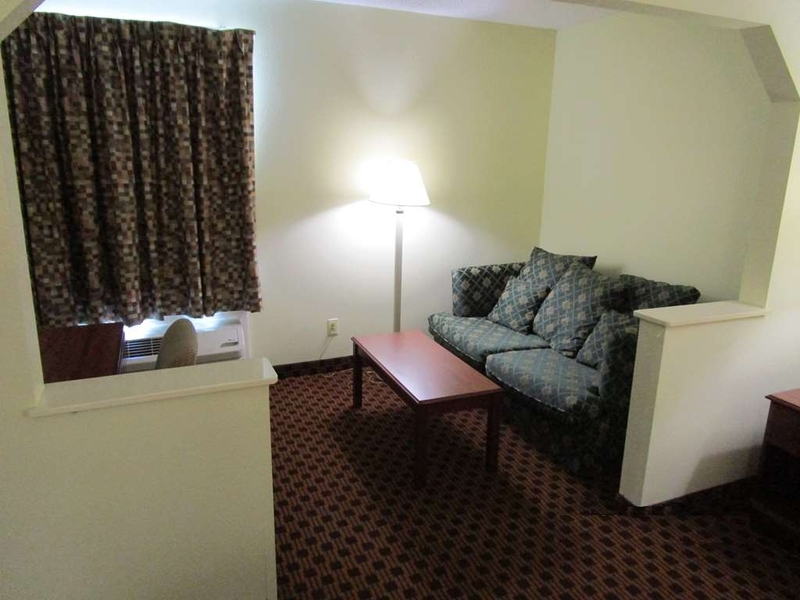 Nice, large layout (suite), very clean and comfortable. Free breakfast buffet was offered (6:30-9:30) however, I had to leave earlier. 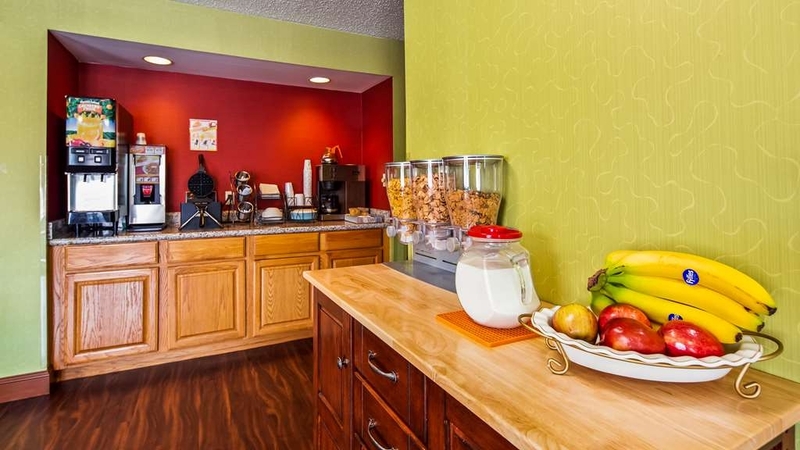 Full kitchen with full size coffee maker & ice maker was nice to have. Bed was very comfortable. Our stay lasted only one evening but was long enough to fairly evaluate the property. First and foremost, our room was clean. Very clean. We check for dust everywhere including picture frames, door frames, television sets. There was no dust. The linens smelled clean and fresh, and there was plenty for our stay. 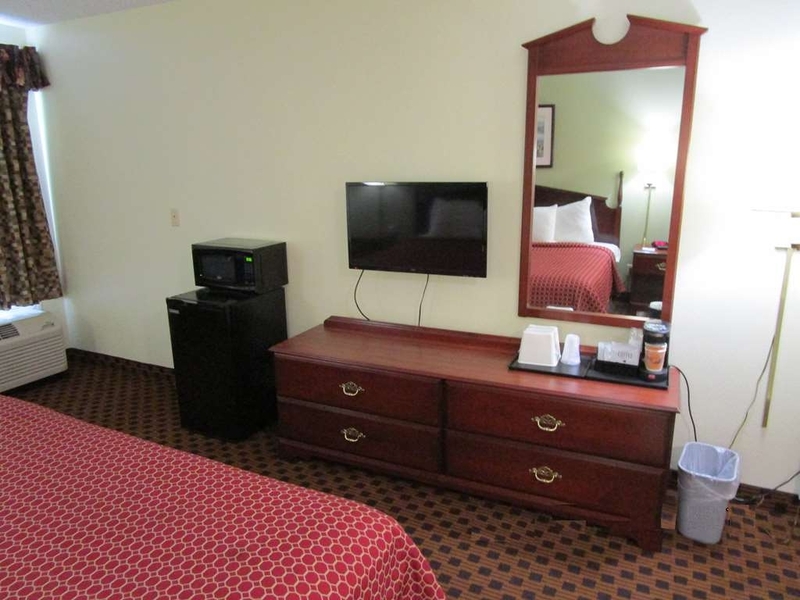 The flat screen television worked properly and had good reception with plenty of channels to choose from. 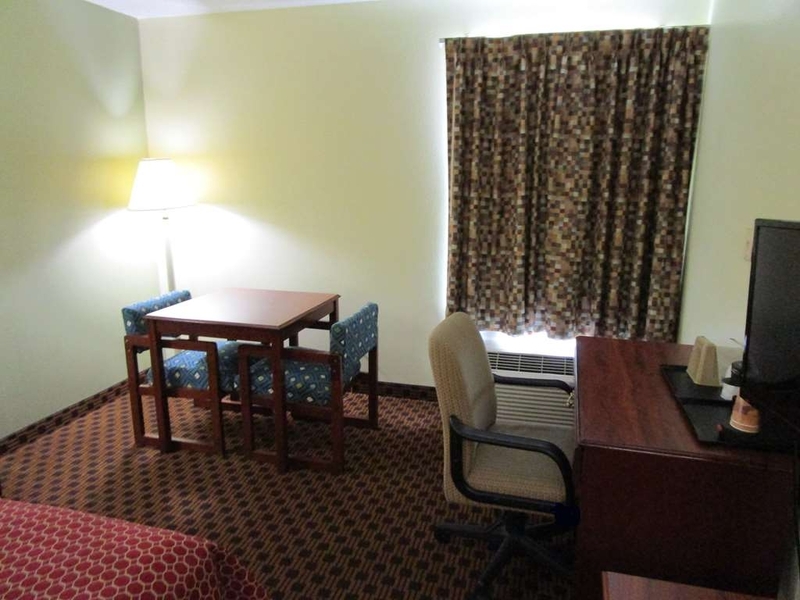 Although very clean, our non-smoking room had a slight musty tobacco odor which we quickly remedied with air freshener. Exterior security locks worked fine and lighting was sufficient. Parking was close with easy access. The elevator was in good operating condition. 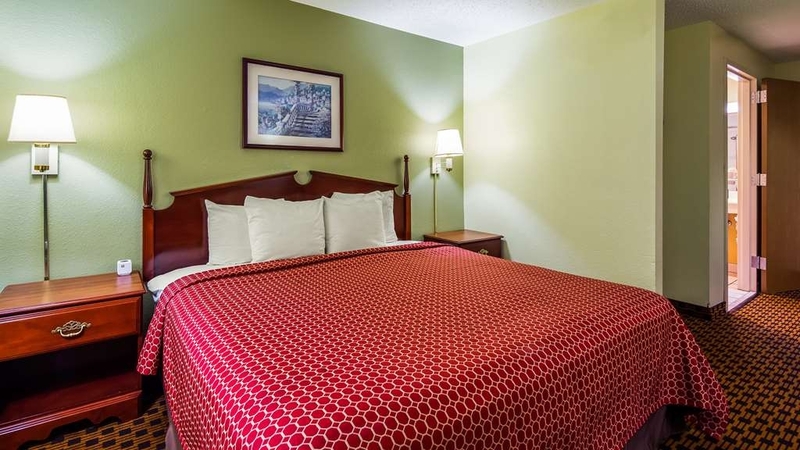 The hotel is 5 minutes away from a large shopping area with plenty of purchasing and eating opportunities. Now for the negative items.... The breakfast area, especially the juice machine, needed attention. While there was a variety of foods as well as fresh fruit, the sausage links and scrambled eggs were in stainless steel chafing dishes at almost room temperature. There was not a microwave oven to warm those items in the eating area, but you could heat with the microwave oven in the rooms. The waffle maker, my personal favorite, worked properly and was reasonably clean. The business center was a small desk with computer in the breakfast area. The desk manager seemed polite and receptive to our comments, both good and bad. 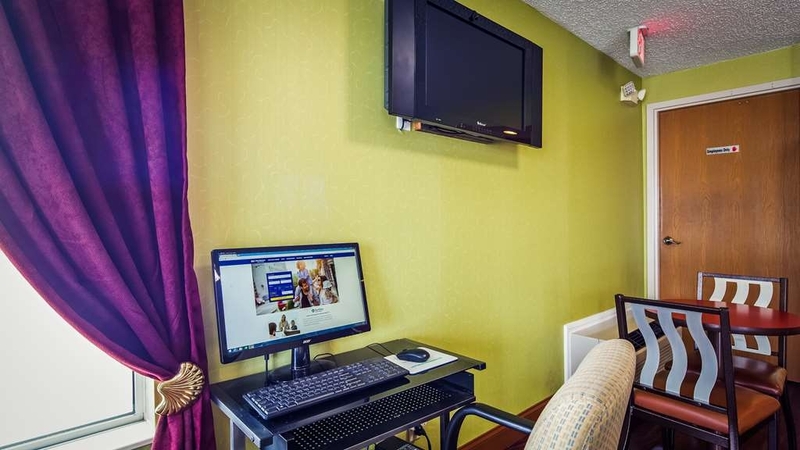 In summary, if you wish for no-frills accommodations and can get a good rate, then the SureStay Plus might be right for you. We would stay there again. Thank you !So happy to hear you had a marvelous time visiting with us in Chattanooga.Come back and see us. 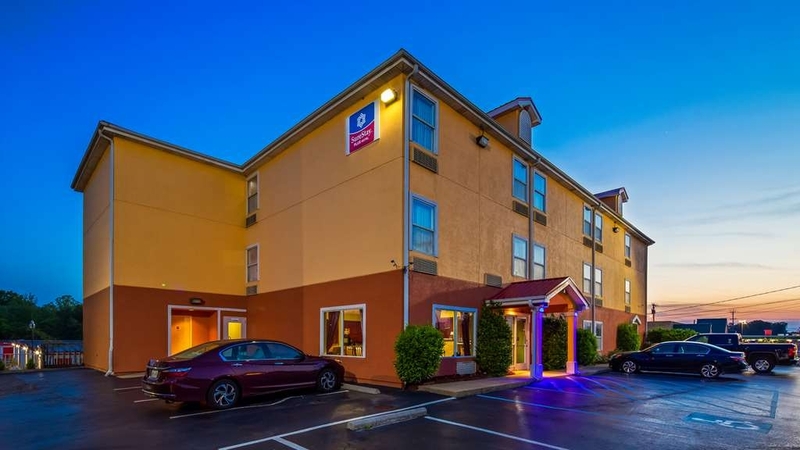 "SureStay Plus Hotel, Chattanooga, Tennessee, Ginger from Temecula, CA"
"Horrible Smell, Not Safe, Bugs"
My mom and I booked 1 room (2 beds) for 2 nights through an OTA. 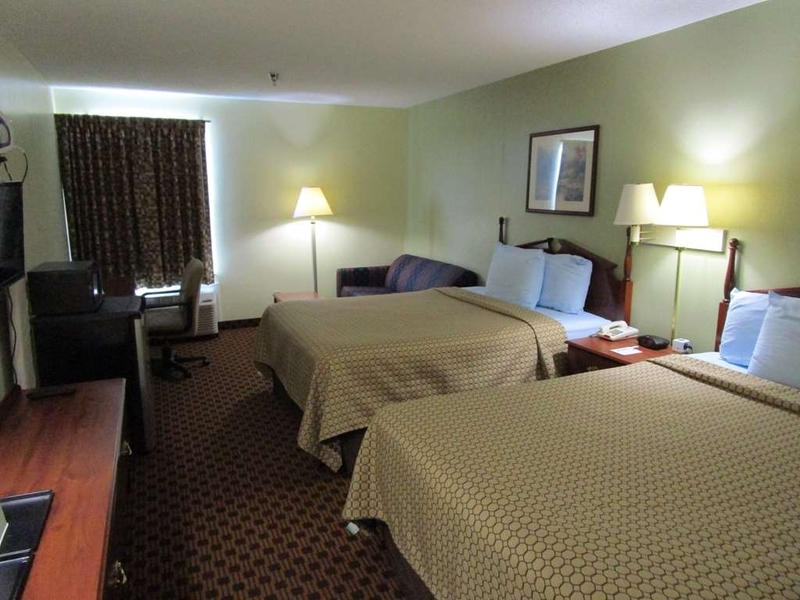 Received our confirmation for a nonsmoking room and headed to Chattanooga. At check-in, our nonsmoking room for 2 adults, 2 nights was confirmed and when the front desk agent handed us the room keys, he proceeded to announce our floor number AND room number out loud, which is a COMPLETE violation of safety protocol, making us both (2 women) very uncomfortable. We were told a business center was on-site - Ha! There was a computer on a table and chair in the middle of the lobby/breakfast area with zero privacy and no printer (I needed to print a boarding pass, so this was problematic). As we proceed to enter through the dark side entrance (as instructed by front desk), the pungent odor of cigarette smoke and something...maybe mildew was intoxicating. 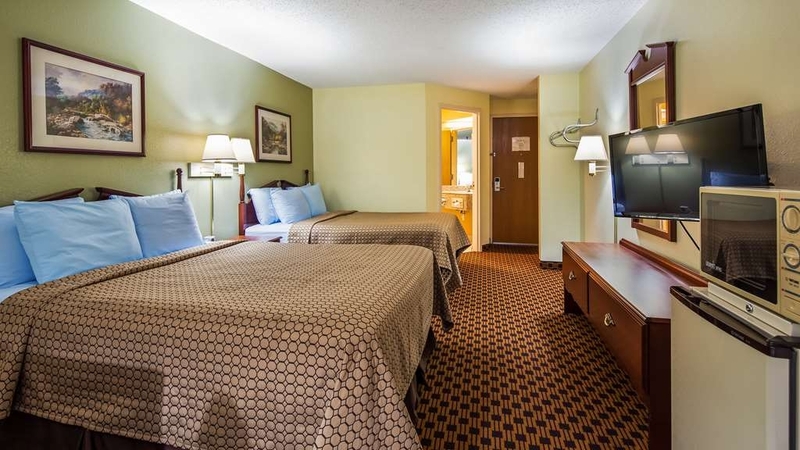 As an asthmatic, I was anxious to get to our nonsmoking room - which was located on a floor with smoking rooms on one side of the hall, nonsmoking on the other. Oh, and our room was a smoking room, dusty, gross stuff on the carpet, poorly lit bathroom with socket issues and wi-fi unresponsive. We decided it was too uncomfortable with the smell and lack of cleanliness, and went downstairs (after approximately 20 minutes and finding another hotel) to check out. We happened to run into the same front desk agent and said we needed to check out because of the smoking room situation. He responds "You asked for smoking room, right?" No. Also, the trash can inside next to elevator was horrifying - I don't know if they were gnats, ants or fleas (or something else) but they were crawling all over the outside of the trash can as well flying around our heads. He offered to switch our room, but we declined. We mentioned the trash can, and he did nothing about that (At least while we were there) nor did he acknowledge or apologize for any of those issues. Truly disappointing, dirty, smelly and unsafe for travelers, especially single women. 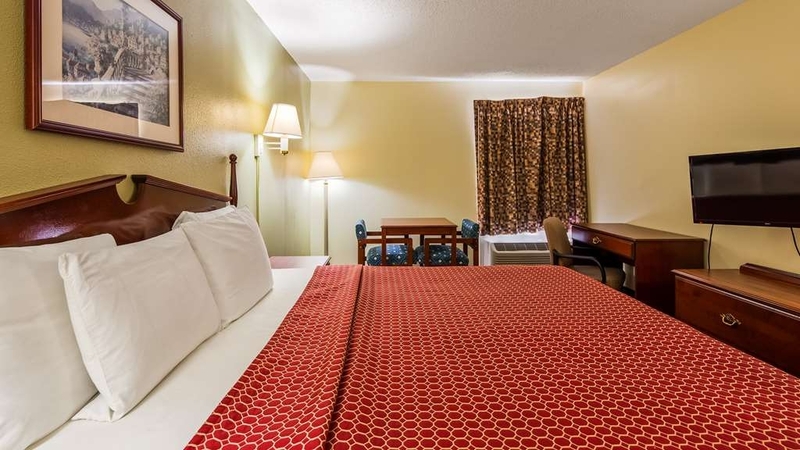 "Great clean rooms with amazing service!" I recently stayed at this hotel on a business trip and I must say I was very impressed. 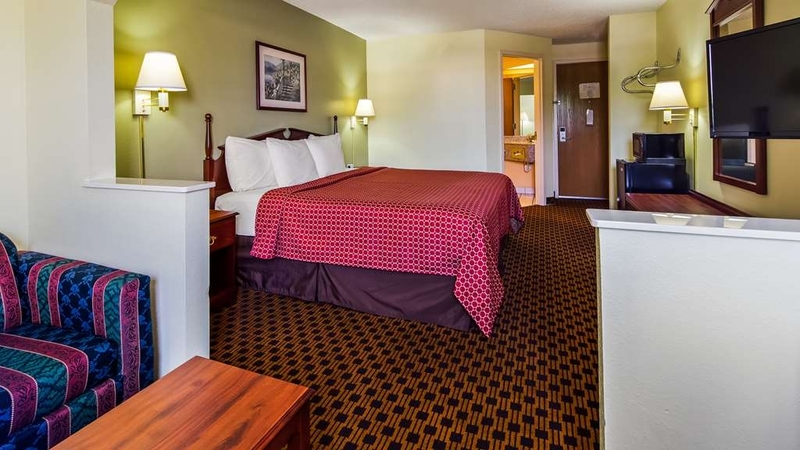 The room was clean, breakfast was great, and the service was exceptional. The front desk clerk took time to give me directions to a few great restaurant options that were very close! I highly recommend this Hotel. 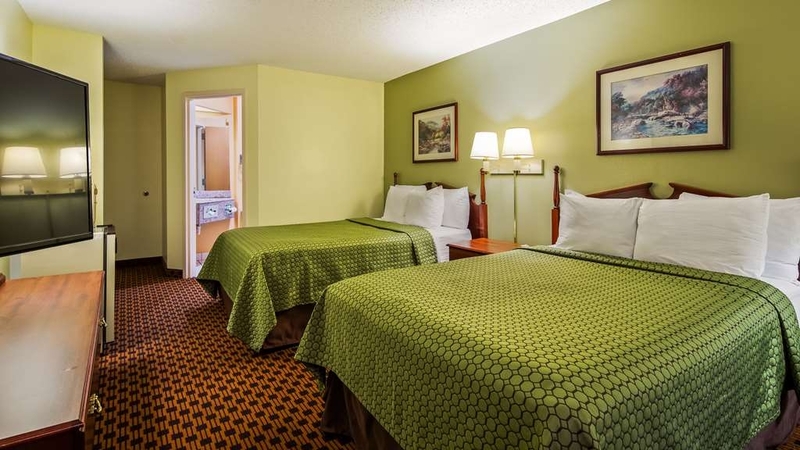 I wasn't too familiar with this hotel until I did some research and found out that this hotel is launched by Best Western. I came to Chattanooga on a family vacation and I found the hotel to be excellent. The rooms were very clean and had a modern feel to it. 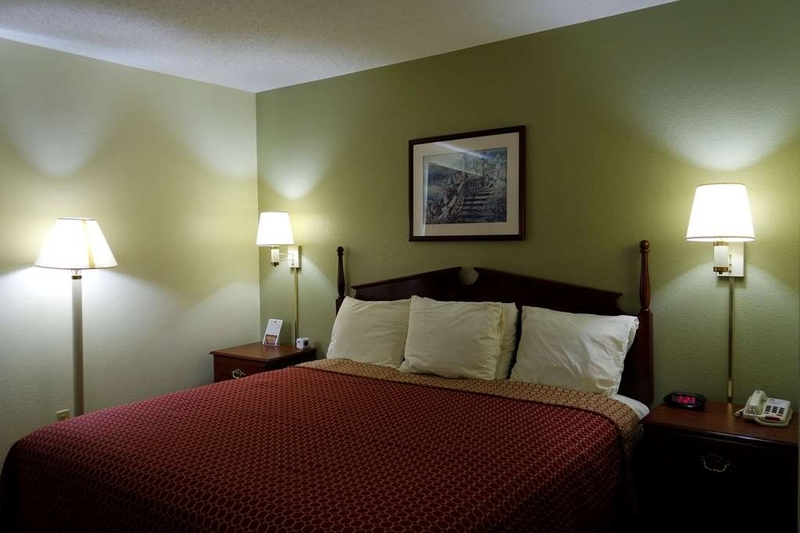 The staff was very friendly and polite and took care of me and my family. They also provided a great hot breakfast with a variety of foods. This is definitely one of my favorite hotels that I have stayed at and will stay again for my next visit.